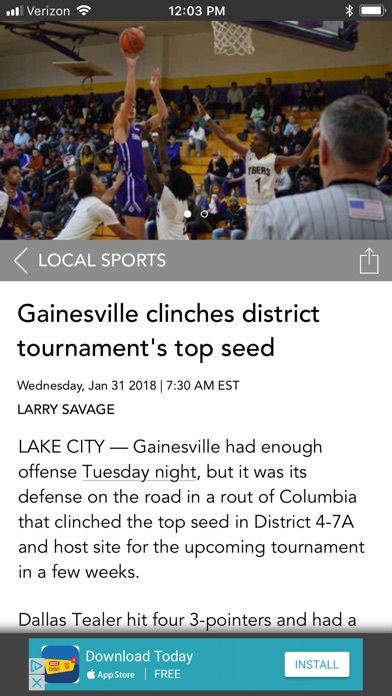 The Gainesville Sun and Gainesville.com deliver news where you are. 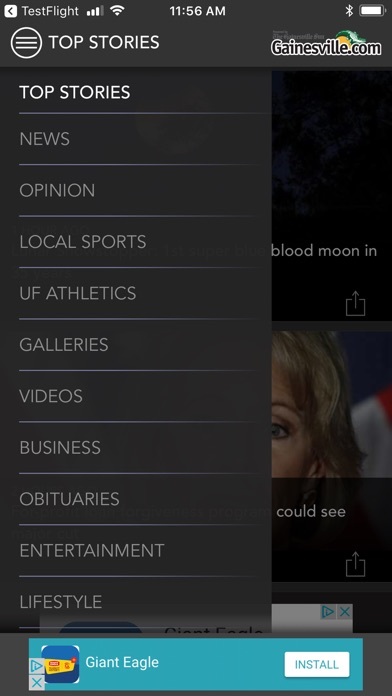 This app connects you to our complete coverage of news, sports, entertainment, editorials, lifestyle and business in Gainesville and the University of Florida. Put North Central Florida's best source of local information at your fingertips for access anytime, anywhere. Read through all of today's news and check back for breaking news throughout the day. You'll find articles, photographs, videos and more. Content is easy to share via Facebook, Twitter and email. App has been reported as sketchy for a while by my friends...but Now I know first hand—app is totally broken and is a waste of time...move on folks, nothing to see here in more than one way. As a print subscriber who also wants to read on the go, I end up cursing at the way this crashes, won’t search, and is an embarrassment to its print counterpart! You may look pretty on first glance but don’t try searching for an obituary! Total waste of time and effort, constantly crashing and or lacks content and not to mention the extremely left leaning opinions. Shame I had to give this even 1 star. What an awful app. 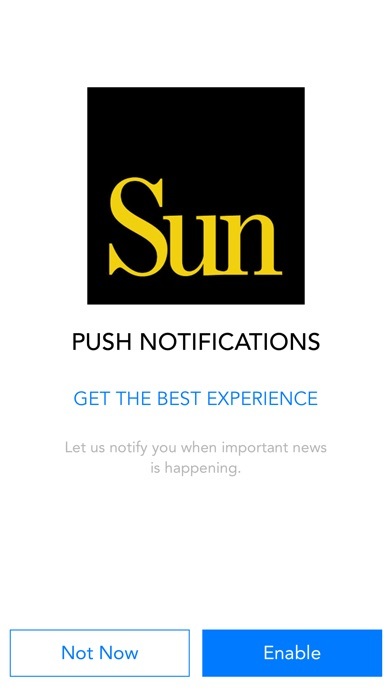 I’m a print and digital subscriber and extremely unhappy with this app. 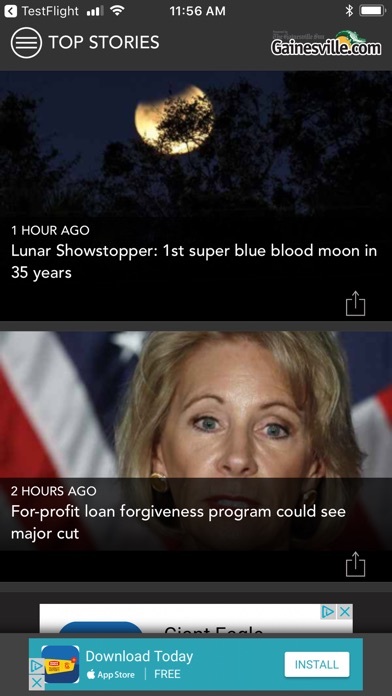 Photos are cropped so people’s heads are cut off. 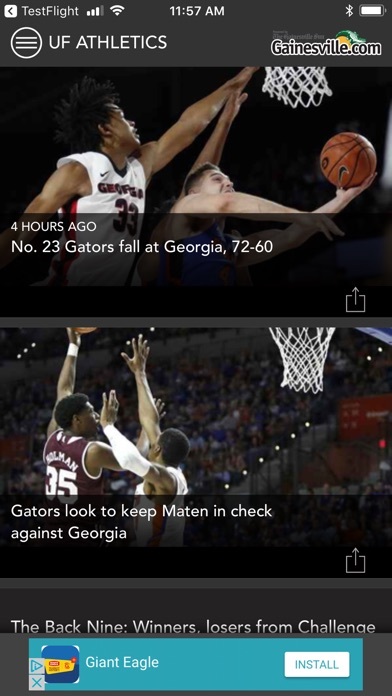 The arrangement of story lines on the left makes it more difficult to navigate to news (some of us don’t want to start with the sports section). 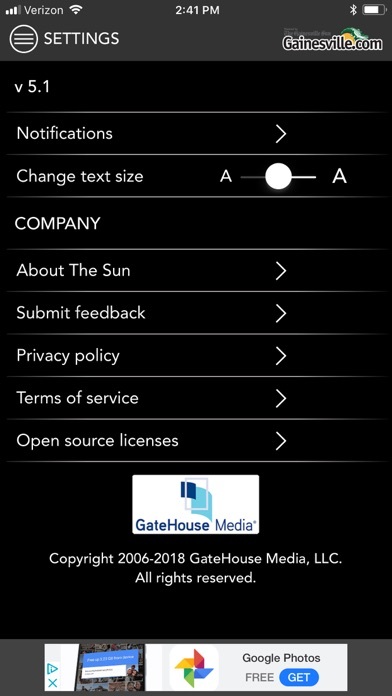 Has anyone at the Sun actually used this ? IPad app continues to improve, although some content available via web browser is still not available in the app. Love this site. Makes me feel at home. Good app,easy to use . News is updated daily. Great small city paper. App has been working all the time. Keeps me updated city & College events. Really enjoy keeping involved in current events. 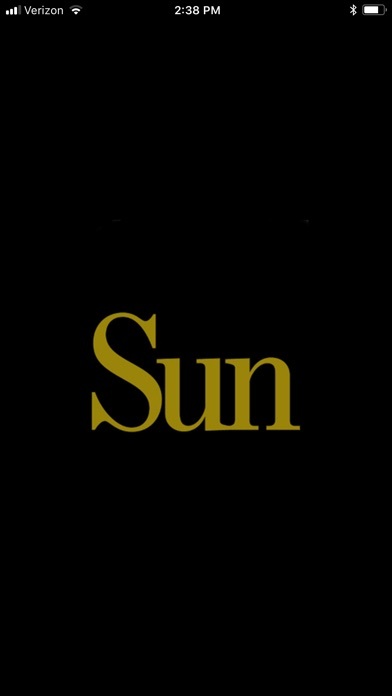 As a U of F alum, I look at the Sun daily. It keeps me abreast of all the changes occurring in G-ville and the University news. 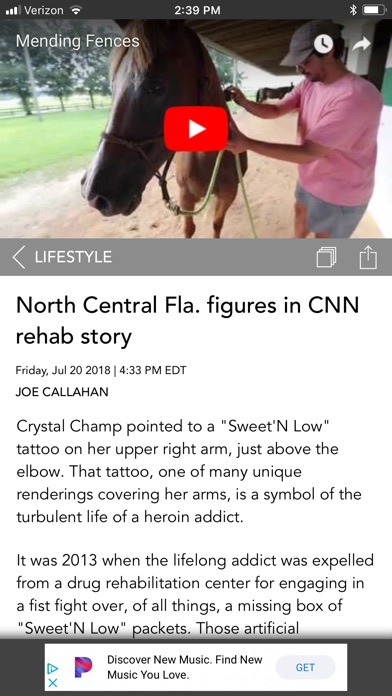 I think its reporting is excellent!